When looking at the list of issues with the Early Access launch version of Battalion, at the top of the list was giving reasons for players to keep playing whilst rewarding those who do keep booting up and playing for their efforts. We had these kind of changes down to be worked on ready for Major Update 3 - but we’ve decided to run a small ‘betaseason’ of our new leveling system within Major Update 2 called ‘BattleRank’. BattleRank Beta Season 2018 is the first step towards making Battalion the engaging and rewarding game it was always intended to become. With every BattleRank season (roughly every 3 months) will come new exclusive rewards and weapon skins that can only be acquired during that period. 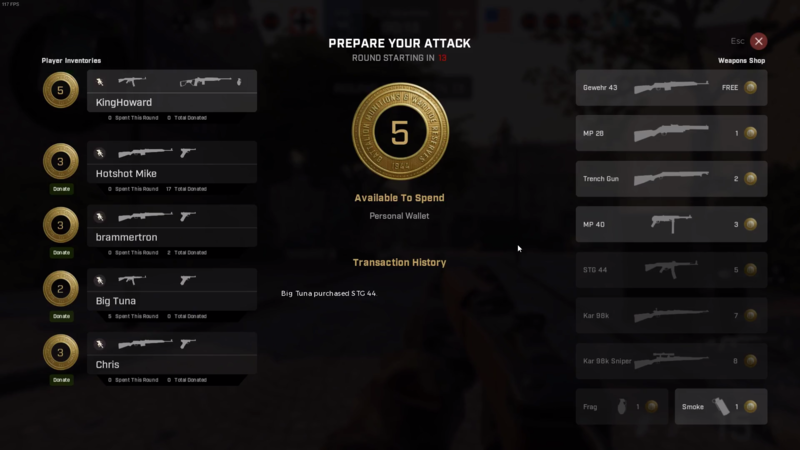 BattleRank is a system designed to reward you for playing Battalion 1944 - due to this all players XP will need to be reset to make way for this new era of BattleRank. Every player who boots the game during the very first beta season (seasons will last roughly 3 months) will receive a participant coin and a participant weapon skin as thanks for checking out the changes to the game for that season. Players who stick around however, get the chance to ‘level up’ their BattleRank to higher tiers. This is done by gaining experience point (XP) by playing the game and completing matches. In the 2018 Beta Season of BattleRank, every 10 levels will reward you with a new & exclusive weapon skin that can be sold or traded on the community market. Also, every single level up will upgrade your publicly displayed BattleRank icon and also reward you with a free War Chest! 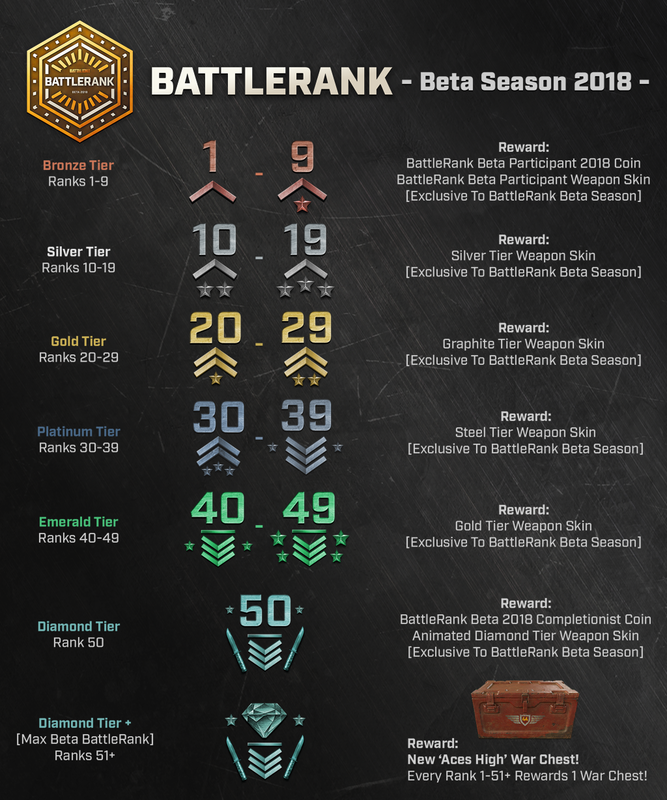 Reaching the Diamond Tier and max rank (Lvl 50+) will reward you with the ‘Beta 2018 Completionist Coin’ and a season exclusive animated weapon skin that you can only obtain during this BattleRank Beta season. We will reveal these awesome skins closer to the release of Major Update 2! 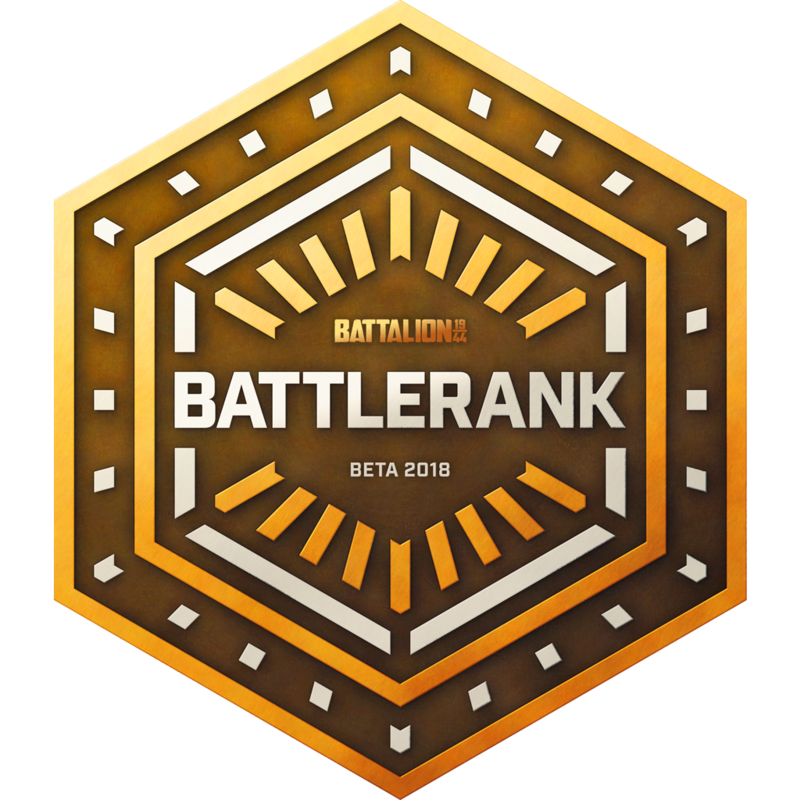 This season of BattleRank is named the Beta season as we want to recieve feedback on the system and see how we can improve upon it for future seasons. 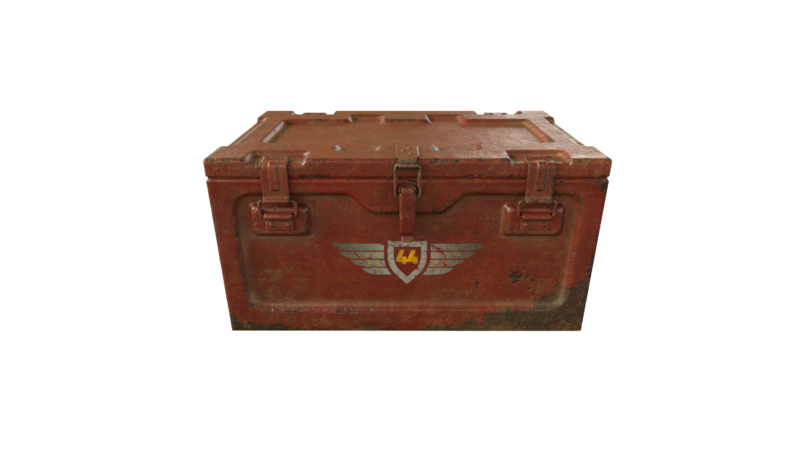 This War Chest comes with 20 brand new weapon skins based on WW2 warplanes from the era. We can’t wait to show off the full set when we get closer to Major Update 2! Players will be able to unlock an ‘Aces High’ War Chest every time they level up via BattleRank. Important: The ‘Aces High’ War Chest will replace the previous ‘The Original’ War Chest. 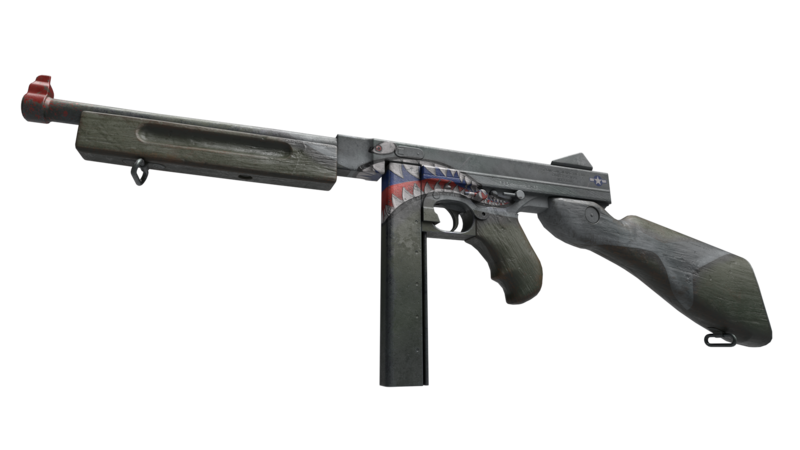 If you’re missing any of ‘The Original’ War Chest skins such as the coveted ‘Grand Panther’ skin, these last few weeks before Major Update 2 will be your last opportunity to unlock these original Early Access era weapon skins. Maybe it's worth holding onto them to see if they increase in market value? Our daily development playtests have been really helping us refine the game before the release of Major Update 2 and Wartide 2 is the area of the game that has seen the most iteration from these playtests. The specific focus of MU2 has always been to refine Wartide into a truly competitive gamemode that’s both fun to both play and watch for casual and competitive players alike. However, since we added the concept of a personal wallet, we noticed the redundancy of having a shared economy pool. While cool in theory, - when playing we realised the only reason it had to exist was so that we could distribute money to players fairly, by allowing players to withdraw/deposit to the team pool as needed. The reality was it became just a race to withdraw 3 coins first - whilst actual sharing of money was done through the individual player wallet donation buttons. This made the dual currency system not only redundant - but also confusing with so much information to share between players within the 18 second buy time. The removal of the shared token pool and replaced by personal wallets & direct teammate player donations only. We have decided to remove the shared currency pool where all tokens earned through in game actions were merged into one central pool. This was a system where all players could donate their personal tokens into the team pool, however they could also extract tokens from this pool to their personal wallet. We have decided to move away from this system and have introduced one where the only pool is personal and the only donations you are able to give are to other team members. By only having your own personal wallet of tokens to worry about - the gamemode is now much simpler and allows you to quickly and efficiently share cash between your teammates whilst still allowing more selfish players to hold onto their own tokens. We’re very happy with this iteration of Wartide and are very confident in this being the extremely solid foundations for the gamemode going forwards. 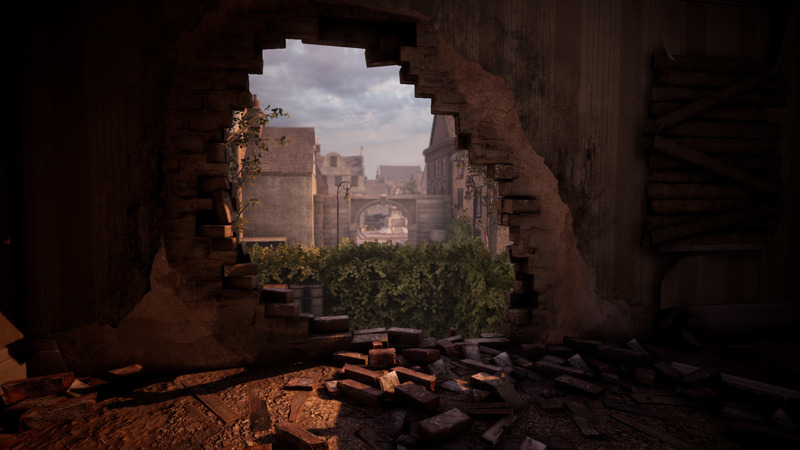 Strategy and teamplay have never felt stronger in any iteration of Battalion 1944 than the current development build. Any changes to the mode from now on will most likely just be adjustments in weapon costs and/or reward amounts for winning/losing rounds. Here’s a question for the community - would you like knife rounds to be included on official Bulkhead unranked matchmaking servers? Or should this feature only be a server config variable for community server admins? Let us know in the comments! We’ve now added an official overtime server config variable so that competitive players get to play multiple mr3 overtimes until one team is victorious. This avoids scenarios in tournament play where team would draw 15-15 and have to completely restart the game server. You can now adjust the volume of the ambient map sounds separately from the other audio in the game through the ingame menus. You cannot turn the ambience entirely off - but this should reduce audio clutter for competitive players whilst keeping the playing field level and fair. You may have noticed the visual upgrade Battalion has received? We’ve actually added a quick option in the video settings so that players can quickly optimise their video settings between beauty and performance presets just in case you destroy your default config! That’s it for today’s development update and preview - we have more awesome Battalion 1944 news and announcements to come and we can’t wait to share it. Keep a lookout for another huge announcement coming later this week!